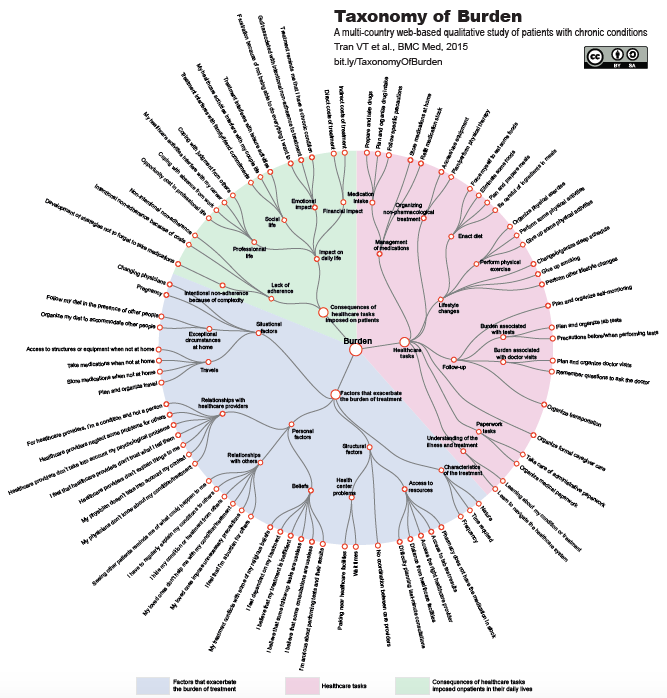 But I’ve also observed that few people are savvy about both medicine and technology, which has led to medical people not seeing the potential and tech people being seriously naive about how complex medicine is, and both parties failing too often to understand that it’s all about behavior change. 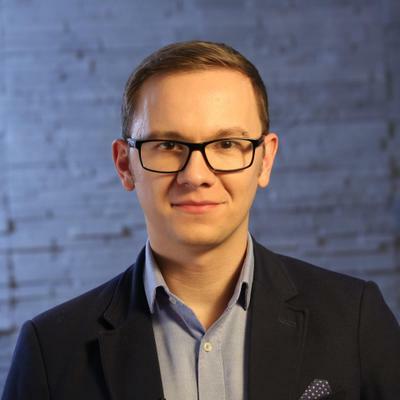 One of the few people I’ve worked with who completely gets it is the young, visionary “Medical Futurist” Dr. Bertalan Meskó, at Semmelweis University in Budapest. I had the pleasure of lecturing in his course a few years ago, and we have continued to collaborate. The post I replied to is a thoughtful submission by two grad students (one business school, one med school). 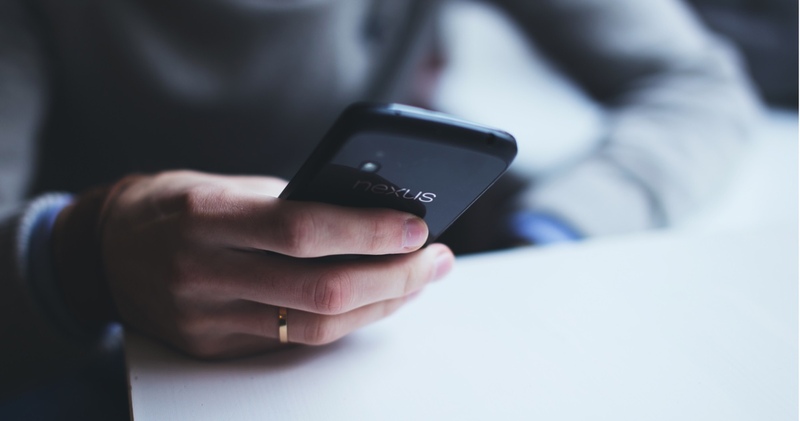 Their thoughts are valid but as you’ll see, the issue isn’t apps – this is part of a broader issue that every engaged patient (you!) should understand. Here’s my reply. 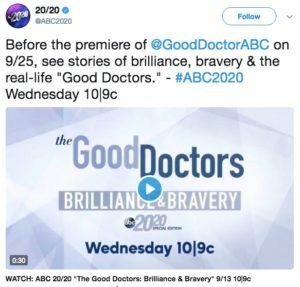 Wednesday night (Sept 13) at 10pm ET, a special edition of ABC 20/20 will air, promoting a new series called “Good Doctors.” I’m thrilled to learn that my cousin Chris McCulloh, a third year surgical resident, will be featured. I’d be thrilled to have anyone I know on such a highly visible show, but the extraordinary thing about Chris is that he almost didn’t enter medical school because a few months earlier he fell at home and end up with a spinal cord injury, paralyzing him below the waist. His original blog, back to 2008, about his injury and such. Four weeks ago I posted about this excellent graphic that was published in 2015. Response on social media was nearly at a wildfire level, almost entirely from patients. I pointed this out in the patient panel discussion group at the BMJ (formerly British Medical Journal), of which I’m a member, and proposed that it become a post on their blog. They accepted the idea, and today it got posted. 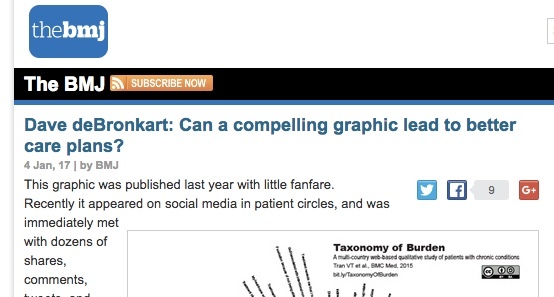 A large part of our work in participatory medicine is to build compassion and partnership between patients and clinicians, so I’m thrilled that they accepted a different angle on this post: Can a compelling graphic lead to better care plans? Here’s hoping, because when we better understand each other’s challenges, things can only improve. So it is with this website. As I said the other day, it started seven years ago. At first it was just a blog with a couple of extra pages added, supporting my growing business as a keynote speaker. The blog lived, fittingly, on the home page. But if you’ve just come here directly, look at the menu – this blog’s now on a page of its own. Why? As I’ve said this year, my work is evolving. After 500 conferences and policy meetings I’m doing more authoring now, more work in academic medicine, more work advising and speaking for corporate clients, large and small. I still love speaking best (nothing’s more fun than a standing ovation), but after seven years it’s time for the blog to move off the home page, to make room for the three dedicated “rabbit holes” a visitor can jump down, one for each of the types of work I do: speaker, author, advisor. So welcome! Look around, and leave feedback in comments. Here’s to new tomorrows! I’m at the 7th annual Health Datapalooza event in Washington. What I have to say here about this conference is subjective, my gut feel, because I haven’t been at most of the previous ones, because they were largely about the business side of health data – there hasn’t been nearly enough focus on the people who actually have the problem: the patient and family. Vice President Joe Biden’s son Beau died a year ago this month of glioblastoma, a nasty nasty brain cancer. For his talk I left the main room and went to a side viewing room so I could record it on my iPad.